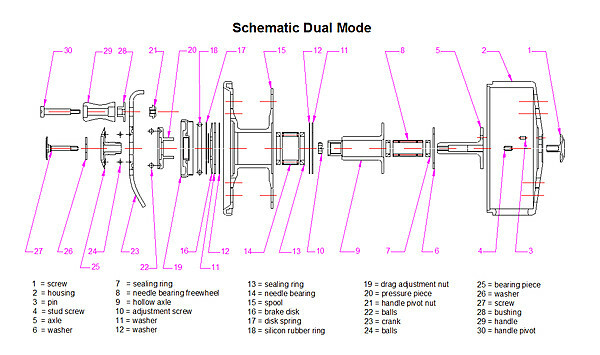 Dual Mode - the Traditional Designed Combination reel in which the spool contains the mechanics of the reel and the arbor in normal sized. 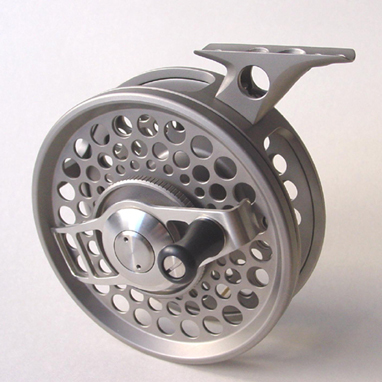 The DUAL MODE reel is the Tradional Designed Combination reel in which the spool contains the mechanics of the reel and the arbor in normal sized. 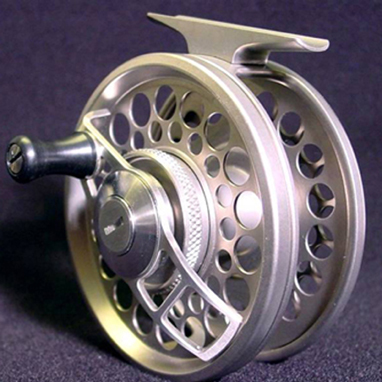 The brake (drag) knob is located beneath the reel crank giving the fisherman the ability to adjust the brake, or drag, with the cranking hand during the fight. 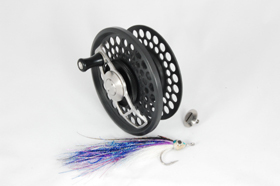 This kind of reels has the best saltwater- and corrosions resistance. Made only in small quantity! Sheer luxury! 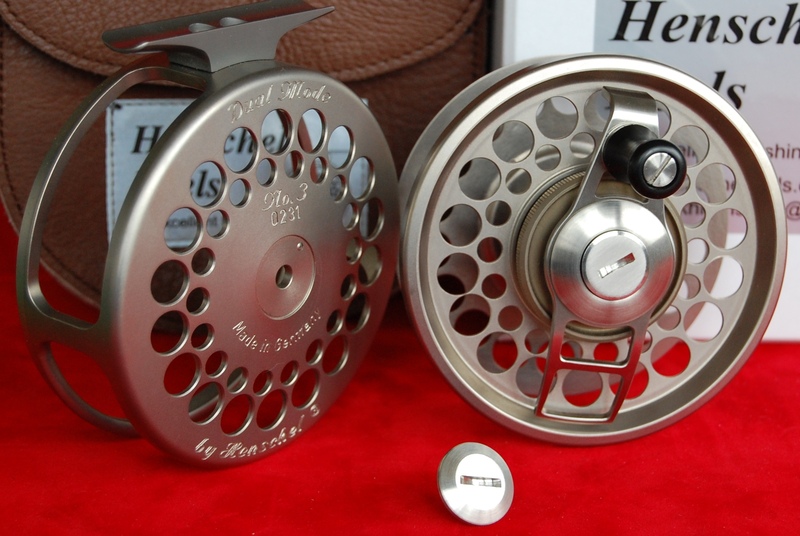 The greatest pleasure to fish with such a reel!